Former British Prime Minister Tony Blair’s speech last week, in which he pronounced it his “mission” to persuade his fellow citizens to “rise up” and change their minds on Brexit, will have a minimal impact on rallying Remainers, and even less on convincing Brexiteers. The backlash against expert thinking during the referendum campaign still runs deep when it comes to taking direction from an ex-prime minister, especially when most Britons across the political spectrum view Tony Blair as the leader who dragged the country into a disastrous war not of their own choosing and certainly not of their own wanting. His grasp of Brexit as a complex and historically significant event, with far-reaching implications for British security and prosperity, comes across as unsolicited advice from the reckless decision-maker of fourteen years ago. 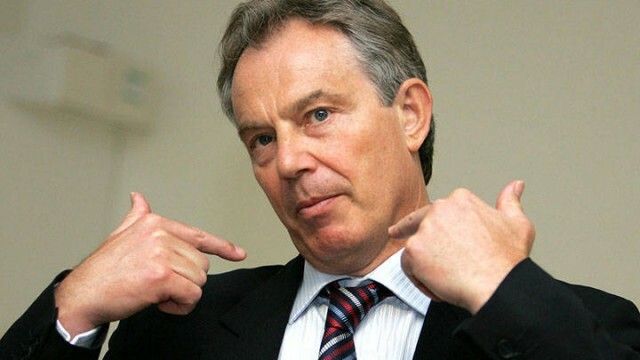 Many of the three million who signed a petition to remain in the EU following the Brexit vote also marched on the streets of Britain in 2003 to protest against his commitment to back President George W Bush, and, for Brexiteers, Blair’s informed reasoning is the cherry-picking trickery that hoodwinked them over the war in Iraq and now tries to blind them to what they clearly see as their right to uphold their decision to leave the EU. There are understandable reasons why he feels he should step in. His Labour Party is non-functional, with a leader who is at best indifferent to the EU; the Conservatives are ignoring the interests of the 48% who voted to remain; Europe’s cohesion is under threat, facing a series of populist-led elections and thrown off balance by an authoritarian US president who equates Russia with America’s allies, and a NATO alliance that seems powerless in the face of Russian aggression in Ukraine and growing interference in its ex-Soviet satellites. The thick-skinned hutzpah that drives politicians to secure a seat can prevent them from deferring to their new status if they should fall from grace. Few ever regain trustworthiness in the limelight, and rarely get a second chance. Blair, however, has become the personification of May’s “citizens of nowhere”; speaking with an accent that hovers above the waters of the mid-Atlantic, making statements that may accurately reflect the complexities of an interconnected world but that have little to do with the everyday reality of the opportunity-starved, and possessing the personal wealth that under the auspicious appointment of “Middle East envoy” grew by the millions in contrast to his lacklustre performance in the job. Britons’ animosity is such that his sagacious imploring to re-consider the decision to leave the EU is no reparation for the true act of contrition he has avoided even in the wake of the verdict of the Chilcot Inquiry. Sometimes politicians need to accept that they will never be appreciated again, let alone exert influence. Just as former Conservative Prime Minister David Cameron will be judged in future history books as having risked the undoing of his country and Europe in the name of political ambition, with just a footnote about his earnest belief in the “big society”, Blair will be forever tainted with a war that people were deceived into supporting by means of double-speak and arm-twisting. His argument that Brexiteers were fed unsubstantiated and misleading facts by the Leave campaigners smacks of hypocrisy. Blair’s intervention on Brexit is further complicated by his role in creating some of the woes that swayed Britons to abandon the EU. Not only did he strongly support the EU’s enlargement to ten new countries in 2004 – mostly from Europe’s much poorer east – he then contributed to the overwhelming feeling of powerlessness and loss of national identity that motivated many Brexiteers by choosing to immediately open Britain’s borders to immigration from these countries. While other EU member states chose to implement this process over a seven year period, 1 million people arrived on British shores in two years, leading to the palpable impression that these new immigrants were overwhelming Britain’s public services and depressing wages, and sidelining nationals in some cases. A talented negotiator-tactician can still make strategic mistakes. Furthermore, in 2006, Blair reneged on his promise to hold a referendum that would decide whether Britain would accept the proposed treaty establishing a Constitution for Europe. Instead, he gave Parliament the sole authority to ratify the new Lisbon Treaty. This helped generate the obsessive Conservative fervour and UKIP momentum to re-capture the chance to hold a referendum on Britain’s EU membership. Blair primed the gun; Cameron pulled the trigger. The thick-skinned hutzpah that drives politicians to secure a seat at the cabinet table, or indeed the premiership, can often prevent them from deferring to their new status if they should fall from grace. Even with the combined experience, magnanimity and wisdom of their older selves, those who die politically were never wise or selfless enough when it mattered; few ever regain trustworthiness in the limelight, and rarely get a second chance. Blair’s mind and experience should indeed be put to good use, but at most as a byline, and more importantly, in dogged, quiet legwork behind the scenes in formulating persuasive arguments that others can voice and express. A dinner lady from Stoke-on-Trent, where 70% voted to leave, has genuinely more chance of converting the swathe of Britain that is blind and deaf to the exertions of Blairite rationalising. Then again, it might be too much of a back seat to ask a man to occupy who is atonal to the divisive effects of his name; a name that today blocks a country’s receptors to the perilous consequences of Brexit.